For the last 15 years, Liam has been a venture investor – starting as a Principal at Foster Management, a venture fund focused on service industry investments; then co-founding Arcadia Partners, a $50M fund focused on technology-enabled education companies; and finally, co-founding .406 venture, a $170M early stage technology fund. At .406, Liam focuses on technology-enabled service investments in the education, healthcare, financial services and energy space. While at Arcadia, Liam founded and took on CEO responsibilities for Business Intelligence Advisors (“BIA”), now a .406 portfolio company. This is where he gained a fine appreciation for the challenges and thrills of building a fast growing start-up company. Earlier in his career, Liam spent two years as employee #3 in Booz•Allen Philadelphia office before opening and leading their office in Budapest, Hungary. At Booz, Liam specialized in energy and environmental consulting. 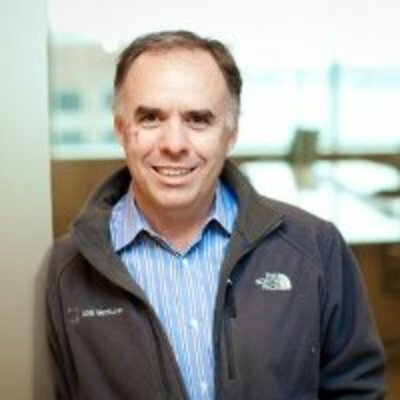 Liam currently serves on the boards of .406 portfolio companies BIA, Connotate, EnergyHub, WellAWARE and WoodPellets.com. Liam also sat on the board of Health Dialog (an Arcadia and .406 company) until its sale to BUPA in January 2008. Liam has a BS in Chemistry from Georgetown University, where he was a John Carroll Scholar, and earned an MBA from Dartmouth’s Tuck School of Business. "Ever since he was a kid, Liam has gravitated towards entrepreneurial settings, founding four successful businesses, including two venture capital funds. For the last 15 years, Liam has been a venture investor – starting as a Principal at Foster Management, a venture investor focused on service industry investments; then co-founding Arcadia Partners, a fund focused on technology-enabled education companies; and finally, co-founding .406 with Larry and Maria. Over this time, Liam has invested over $75M of capital in 15 investments. While at Arcadia, Liam founded and took on CEO responsibilities for Business Intelligence Advisors (“BIA”), now a .406 portfolio company. This is where he gained a fine appreciation for the challenges and thrills of building a fast growing start-up company. Earlier in his career, Liam spent two years as employee #3 in Booz•Allen & Hamilton Philadelphia office before opening and leading their office in Budapest, Hungary. At Booz, Liam specialized in energy and environmental consulting. Liam currently serves on the boards of .406 portfolio companies Abilto, Bedrock Data, BIA, Connotate, Copatient, Healthsense, Iora Health, Reltio, and WoodPellets.com. Liam also sat on the board of Health Dialog (an Arcadia and .406 company) until its sale to BUPA in January 2008, EnergyHub until its sale to Alarm.com in June 2013, and WellAWARE until its sale to Healthsense in July 2013. Liam has a BS in Chemistry from Georgetown University, where he was a John Carroll Scholar, and earned an MBA from Dartmouth’s Tuck School of Business."